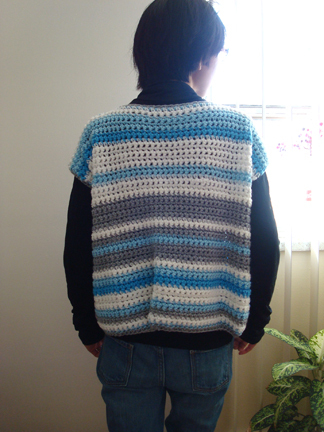 I finished all of the edges with a row of hdc. It’s just one big rectangle with a neck opening. Perhaps when I have more time I can share how I made it. 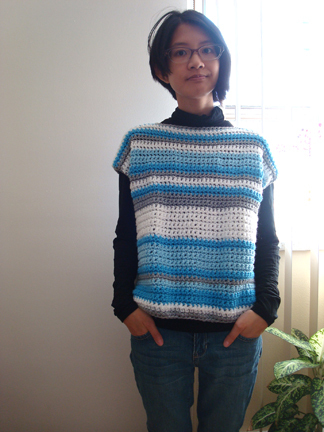 I think my love of making square tops and vests come from my mom. 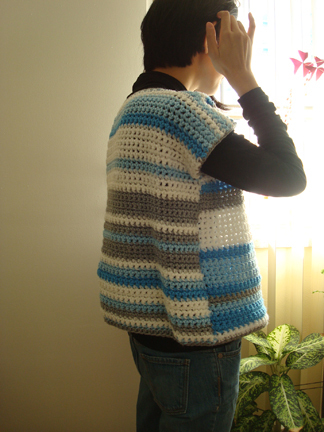 She used to crochet and knit a lot of vests too, from beautiful Japanese patterns (She’s expert at reading the charts; none of us in the family actually know how to read Japanese). Trish, are the stripes in the sweater related to the weather on a given day? 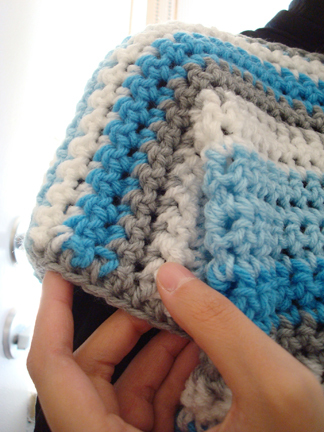 I saw a blanket done like that before and just loved the idea. P.S. 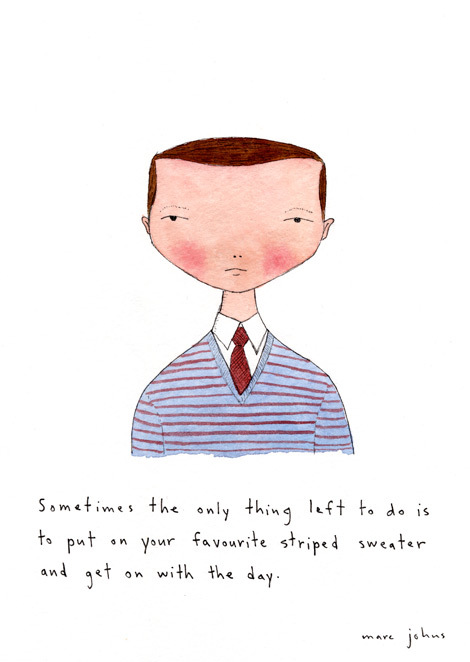 That sweater cartoon is so me… every Monday… lol! oh yes, i forgot to link back to the first post of the project! it explains the sky sweater idea :D it’s now added. thank you for asking the question! 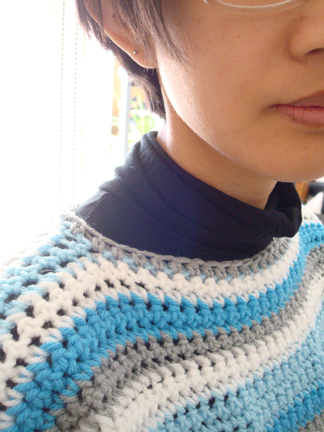 Your sweater turned out great, and I just love the whole idea behind the stripes! It looks great Trish, and I love the simple idea of it. So cool, Trish! Or I should say “warm”, as it will definitely keep you! Such a neat concept. My little strip of a sky scarf is going to have to start over, beginning the first day of Winter. It’s something you really need to do every day, rather than keep track on a calendar and hope you eventually get to it, which has been me :-). It came out so cute! Love the concept and the end result!